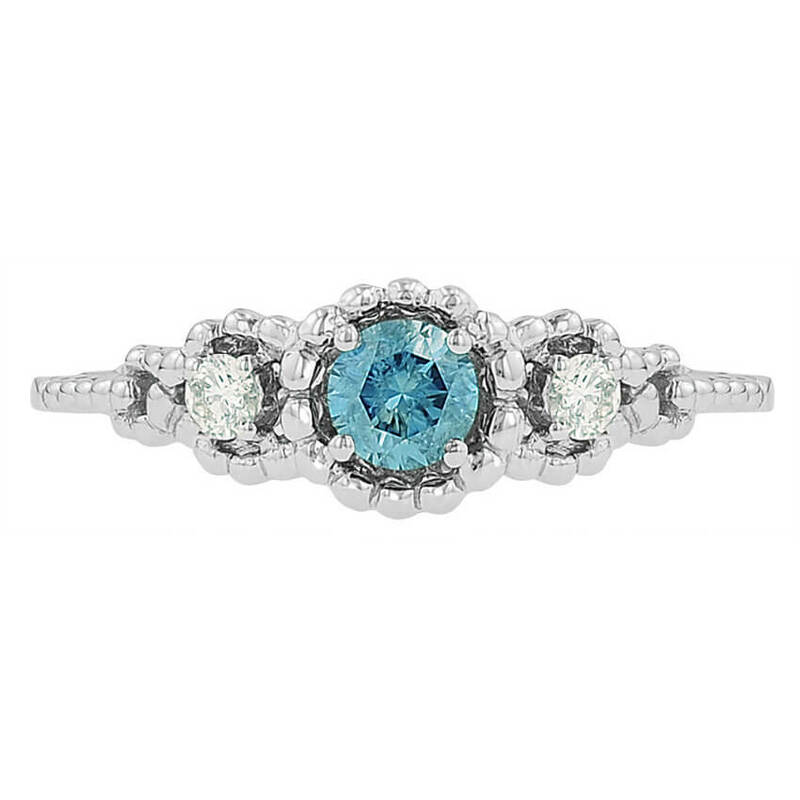 Honor all those yesterdays and the tomorrows to come with this exquisitely crafted heirloom 3 Stone Anniversary Ring with 2 Side Accent Diamonds. 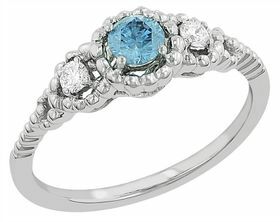 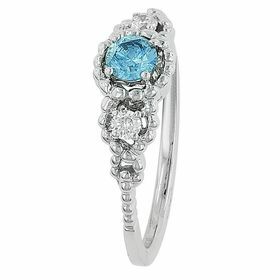 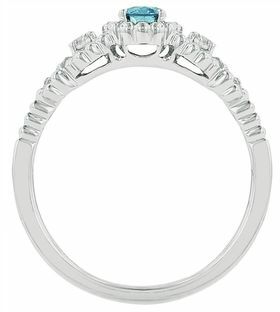 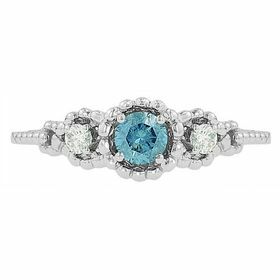 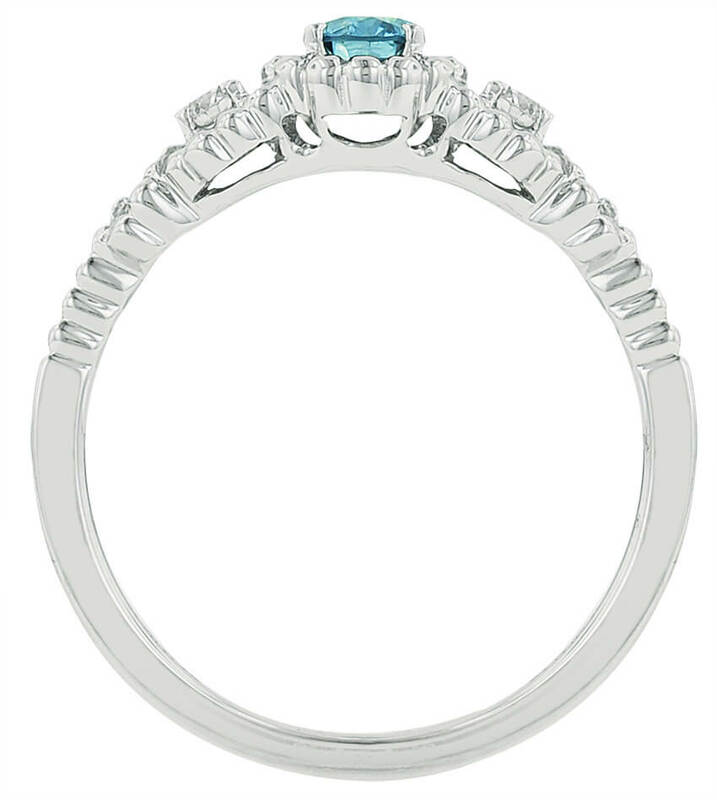 This ring, set in 14kt white gold features a stunning Round Vivid Blue Created Diamond Center stone and is the perfect way to honor your Forever After's. Each item is accompanied by a grading report and a certificate of Eco-Friendly Origin.